Tue, March 19, 2019 7:30 P.M. In conversation with Beth Kephart, the award-winning author of twenty-four books, including Going Over, Handling the Truth: On the Writing of Memoir, and Flow: The Life and Times of Philadelphia’s Schuylkill River. “An unflinching witness and eloquent mourner” (The New Yorker), Carolyn Forché is the author of the poetry collections Blue Hour, The Angel of History, The Country Between Us, and Gathering the Tribes. For this body of work she has amassed an impressive list of honors, including fellowships from the Academy of American Poets and the National Endowment for the Arts, the Windham-Campbell Prize, and the Los Angeles Times Book Award. The Lannan Chair in Poetry at Georgetown University, Forché is also a respected translator, editor, and activist. 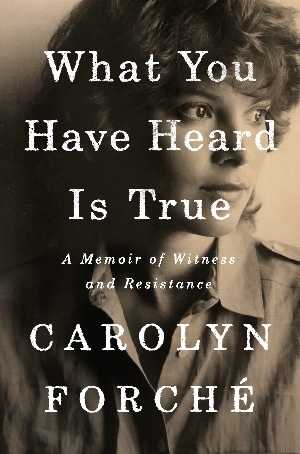 What You Have Heard Is True tells the story of her journey with an enigmatic man into the chaos and horror of the Salvadoran Civil War.